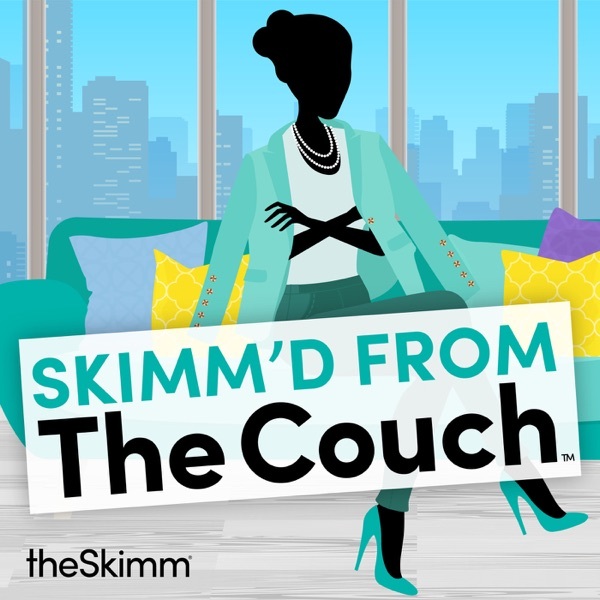 Skimm'd from The Couch | Listen Free on Castbox. It’s Stress Awareness Month. Chelsea Handler has been working on managing hers. You know Chelsea as the comedian … turned late-night host … turned Netflix documentarian … turned activist and advocate. And she just became a 5-time best-selling author with her new book “Life Will Be the Death of Me … And You, Too!” – which came out the day we recorded this episode. Chelsea is a long-time friend of theSkimm and one of our earliest investors. On the Couch, she talks to us about what led to her latest shift, going with her gut, and navigating criticism. Which she’s very familiar with. Tracy Sun is an expert at making big changes in her career. She started off as a neuroscience researcher. Casual. But then she decided to follow her passion for fashion and business. Throughout her career, she’s helped start – and grow – several companies. Today, she’s the founder and Senior VP of New Markets at Poshmark, the platform that helps 40 million people buy and sell their clothes and accessories online. One of us is a superfan. On the couch, Tracy talks to us about finding a cofounder, managing a team through the failure of her first business, and not being afraid of the things she doesn’t know.PS: What we’re reading this week: NBC correspondent Jean Chatzky’s new book, “Women with Money: The Judgment-Free Guide to Creating the Joyful, Less Stressed, Purposeful (and, Yes, Rich) Life You Deserve.” Get it here. Sarah Kate Ellis started her career in the magazine industry, where she helped launch and revitalize major media brands at outlets like InStyle, Vogue, and New York Magazine. Now, she’s the President and CEO of GLAAD. Translation: she’s an expert at using storytelling to shape coverage of the LGBTQ community in media and entertainment. On this episode, recorded live in HBO’s Inspiration Room in NYC, Sarah Kate talks to us about the challenges of leading an activist organization, the GLAAD Media Awards, and writing a book about the time she and her wife were pregnant at the same time. Katia Beauchamp started her career in finance. But after a few years, she decided that she didn’t feel challenged. So Katia switched gears … and went to Harvard Business School. Casual. That’s where she met her cofounder, Hayley Barna. And together, they launched Birchbox, the subscription company that helps people discover new beauty products. Since Katia and Hayley launched it in 2010, the company has grown and changed a lot: they’ve earned two and a half million active subscribers. They were acquired by one of their investors. And Hayley decided to leave in 2015. Katia has stayed on board as CEO. On the couch, she talks to us about learning to lead on her own, working through a complicated pregnancy, and the time she cold-emailed Apple co-founder Steve Jobs. And got a response. Rebecca Jarvis grew up with two passions: journalism and econ. As a teenager, she was even a reporter for a local kids’ program in Minnesota. But after college, Rebecca decided to go into finance. Years later, she got back to journalism. Today, she’s the Chief Business, Tech, and Economics Correspondent at ABC News. On the couch, she talks to us about the time she was on “The Apprentice”, how she made the switch from finance to journalism, and what she looks for in candidates now. PS: Rebecca has her own podcast, No Limits with Rebecca Jarvis, where she interviews female entrepreneurs about what it takes to build their business empires. After this episode, check it out -- because Rebecca’s interviewing US this week. If you like hearing from us once a week, how about audio from theSkimm every day? Our daily news podcast, ‘Skimm This,’ launches on Monday. Every weekday, we’re breaking down the most important stories of the day and explaining why they matter. Search ‘Skimm This’ and subscribe. You won’t want to miss it. You might’ve noticed that we’ve been talking about money lately at theSkimm. A big part of money 101: knowing how to negotiate. Peggy Johnson’s an expert. She’s the EVP of business development at Microsoft. Translation: she drives strategic partnerships for the company … and negotiates. A lot. Peggy’s been running the show since 2014. She’s an avid runner, and she’s been known to carry out negotiations with sneakers on. While running. Before Microsoft, she spent almost 25 years working her way up the ladder at Qualcomm. On the couch, she talks to us about maintaining business relationships, standing out as an introvert, and playing to her strengths at the negotiation table. Anu Duggal and Sutian Dong are the partners of Female Founders Fund, where they invest in tech companies started by women. Anu began her career as an entrepreneur -- including starting India’s first wine bar, and an e-commerce company. Sutian came from the investing side of things. In 2014, Anu decided to launch Female Founders Fund. A couple years later, she brought Sutian on as a partner. Together, they’ve invested in companies like Thrive Global and Rent the Runway. On the Couch, they talk to us about what makes a great cold email, the companies in their shadow portfolios, and why they’re so focused on building communities for female founders. I am a huge fan of the Skimm, but I would love to hear more from accomplished women in science and engineering. STEM is not just for men, and highlighting the amazing women who make strides in these industries will help others see that STEM careers are more attainable than they seem. Love this podcast channel! I’m definitely a Skimm fan. These bites of knowledge are a great compliment to the email newsletter!